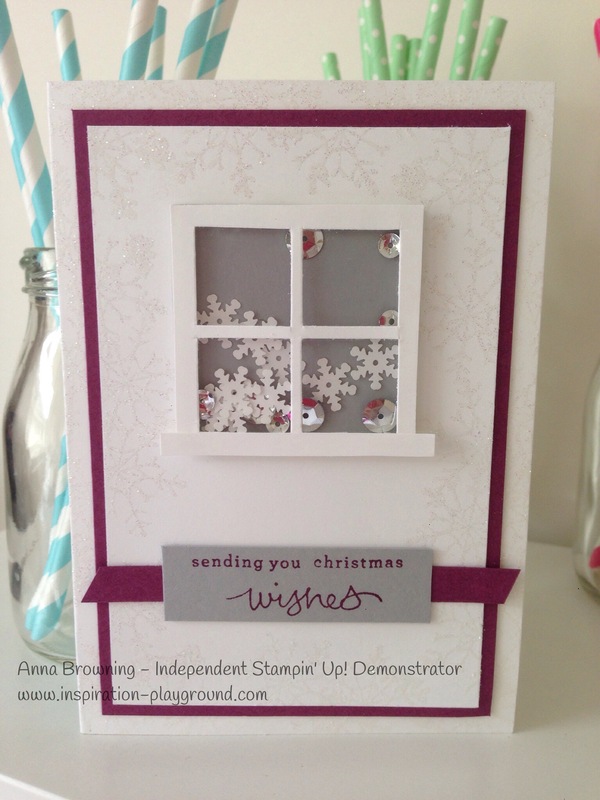 Stampin’ Up!’s Bent INKlinations group challenge for September/October is to create a Christmas Card using No Christmas Colours ie. no red, green, gold, blue, silver etc. This is my submission. All of these products are available from either the 2014-2015 Stampin’ Up! Annual Catalogue or 2014 Holiday Catalogue. Contact me if you would like me to send you a catalogue or if you would like to place a order.